Most commonly, an in-depth research paper on Diego Velázquez begins by discussing the artist's painting The Maids of Honor and also the significance of it. Diego Velázquez's most famous oil painting was " Las Meninas" that was from the Spanish Baroque time period. Velázquez's painting The Maids of Honor is also known by most people as Las Meninas and has been called "the theology of painting" because of its magnificence and contribution to the world of painting. The word menina is of Portuguese derivation meaning "maid of honor". It was painted in 1656 in oil on canvas with the dimensions 10' 5 ½ X 9'1" (380 x 276 cm) and belongs to the period known as the Spanish Baroque. Baroque styles merged with architecture in ways that made it hard to distinguish which was which. The effect was like that of theater, "where the real space of a stage, the painted scenery, and costumed actors who move and speak create a compound illusion with the qualities of life itself". Las Meninas is a near perfect depiction of this characterization. This painting is considered to be Velázquez's masterpiece and one of the finest oil paintings in existence. Its significance may mark the final glory of a slowly weakening Spain or showing that with the Infanta, there was a ray of hope. The painting reveals the royal family of King Philip IV and Queen Mariana of Spain. There are eleven figures in the painting with a focus on the Infanta Margarita and her maids of honor. The artist painted himself into the painting and included two court dwarves who lived in the castle, a reflection of the king and queen in a mirror (some critics say it is a reflection of what is on Velázquez's canvas) and three other court members. Rationalists research papers look into the first rationalists and how they influenced modern rationalism. Rembrant van Rijn Research Papers discuss a few of this Baroque Painters pieces of art. Order a research paper on Rembrant from Paper Masters. 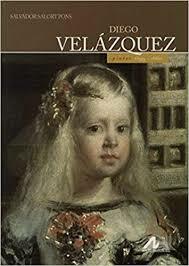 Sample Diego Velazquez research papers examine and explain the significance of the artist's painting The Maids of Honor, also known as Las Meninas.